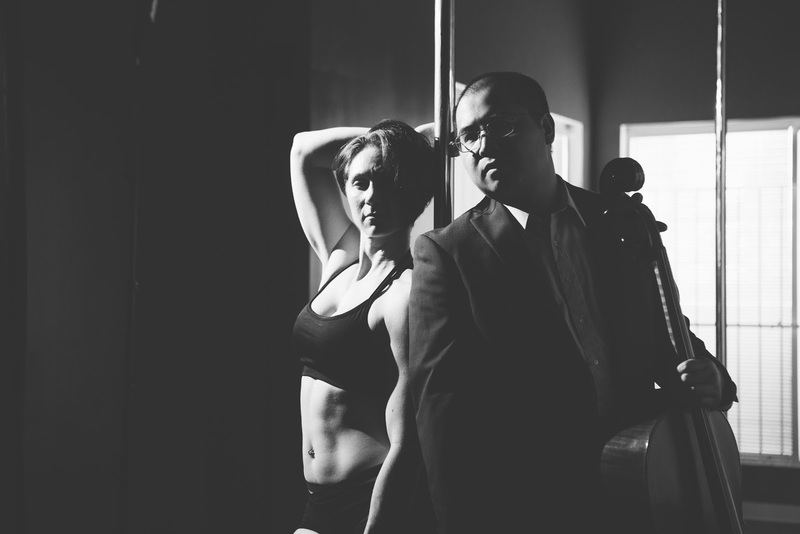 About a month ago, I got this nutty idea to perform a looping cello version of “Crazy In Love” with a pole dancer. Why was I moved to try this? Firstly, I loved the new “Crazy In Love” rendition that was done for the Fifty Shades of Grey film. It was dark, brooding, and its tone really got to what the implications of the original song were. Plus, beyond the fact that I already had connections with an incredibly talented pole dancer that I knew could deliver on an amazing interpretive dance (Danae Montreuil), I also knew that looping cello, pole dancing, and Fifty Shades of Grey had never been combined in this way before. I’d be creating something that would be wholly unique, even though it was based off of a song that had been remade. After weeks of planning, we shot the entire video in about 5-6 takes at Divine Movement in Seattle using pre-recorded audio. This video was shot using a Canon 5D Mark III (primary camera), as well as a Blackmagic Pocket Cinema Camera and a Canon 60D. After we’d got all the material with me in it, I repositioned the Canon 5D Mark III and shot Danae at a more close-up angle, which I spliced in to the rest of the video. I think the result is fairly seamless. This video was picked up by my colleagues at MTV and Refinery29, along with many other pole dancing-affiliated sites and Facebook pages. It dramatically expanded the audience for my cello playing. I’m grateful to all the people that made it possible.